It may be difficult to know when your child has an allergy or if some infection is brewing in his/her body. If your child is little, he/she may not be able to describe what he is feeling, so you will have to rely on your observations. Allergies can mimic the signs of other illnesses, so if you aren’t sure what is going on with your child, you should take him/her to the doctor. With a little practice, you may be able to spot an allergy, and treat it without the added expense of taking your child to his/her health care practitioner. Common allergy symptoms in children are runny nose, or swollen and blocked sinuses. Oftentimes, when your child fighting an allergy, your child’s sinuses will swell and retain fluid to block the passageways there. Though your child’s sinuses may be swollen shut, bacteria can still make their way into the sinuses and cause a sinus infection. If you see thick drainage coming from your child’s nose, you should monitor him/her for a fever. You may also need to consult with your child’s pediatrician. 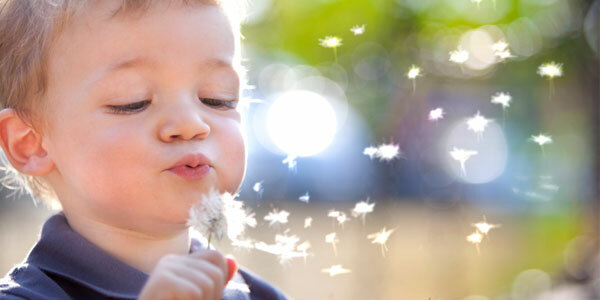 Other signs that your child might have an allergy is if you note sneezing and coughing. The nose begins to itch when minute particles enter the nasal cavity, and sneezing erupts. Sneezing and coughing is the body’s defense mechanism to try and get rid of dust and allergens that make their way into the nasal and throat passages. Watery eyes are another symptom of allergies. It’s important to wipe the tears away from the eyes with a tissue, and not use your fingers. If your child is old enough to understand, he/she needs to be instructed to keep fingers out of the eyes, because a serious eye infection could develop. One common allergy in children is allergic rhinitis. This allergy affects about 40 percent of kids at one time or another. Allergic rhinitis can affect a child’s well being, because most kids that suffer from this allergy feel miserable. Headaches are a fairly common with children who have swollen sinuses, due to an allergic response to pollen and other substances. 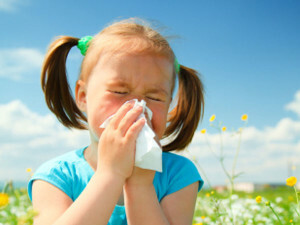 Children can suffer from allergic rhinitis during certain seasons of the year, and sometimes kids suffer all year long. Children, who live in homes where the adults smoke cigarettes in the home, often suffer from what appears to be cold symptoms all year long. Children can cough and sneeze, and have nasal congestion and headaches every day of the year. Thus, if you are a smoker, and you have kids, it is for your children’s health and well being, as well as for your own, that you either quit smoking or smoke outside. Children who are sick with allergies often don’t feel like playing. Allergies can become so intense that their mental health suffers. Your child may become depressed when he/she feels badly all the time. 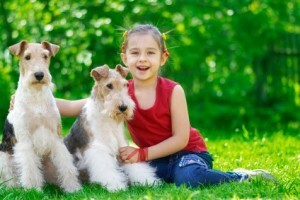 Allergies, left untreated can leave your child open for infections. For instance, if your child has a sore throat, nose and chest congestion, an upper respiratory infection could develop. Children who frequently suffer from allergies often don’t do well in school, just because they don’t feel well. Very often, kids with severe allergy symptoms miss school due to not feeling well. Getting enough sleep can also be a problem for children with allergies, because their allergy symptoms don’t allow them to stay asleep. If your child is frequently sneezing and coughing during the night, he/she may have an allergic response to something in your home. One of the best ways to help rid your home of allergens is to put a air purifiers in your home. It might be beneficial to place a good air purifier with a HEPA filter in each of your children’s rooms, and other strategic places in your home. You may find that you and your children breath better and get better quality of sleep at night.